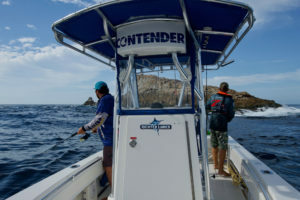 Our Contender 25 Tournament is perfectly set up to tackle any species from Mulloway and Flathead up the Macleay River to Kingfish, Tuna and Marlin Offshore. Ausy made ‘Hookem’ gaffs, tail ropes, tag poles and nets. Just thought I’d jot down a few things about myself, in case you were wandering..
I’ve been a lifelong fisherman, or at least since the age of three or four years old, a passion inherited from my old man . Something about being on the water, and discovering what lies beneath has always captivated me. I grew up in Victoria chasing species like snapper and whiting, at a feverish, bordering on obsessive pace. There werent too many days that I wasnt hassling some poor finned foe standing on wave battered rocks, or old timbered warf. A true pier rat as a youngster. From there my hobby eventually led to a career path. Driving a fly bridge charter vessel with 25 people on board as a teenager was certainly unnerving at times, but I learnt a lot. Not so much about the fishing admittedly, but more how to handle people – from all walks of life. Fast forward 10 years ive had a ball fishing all over Australia, and even parts of the world. During that time working as a fishing guide in the Northern Territory had been amazing. 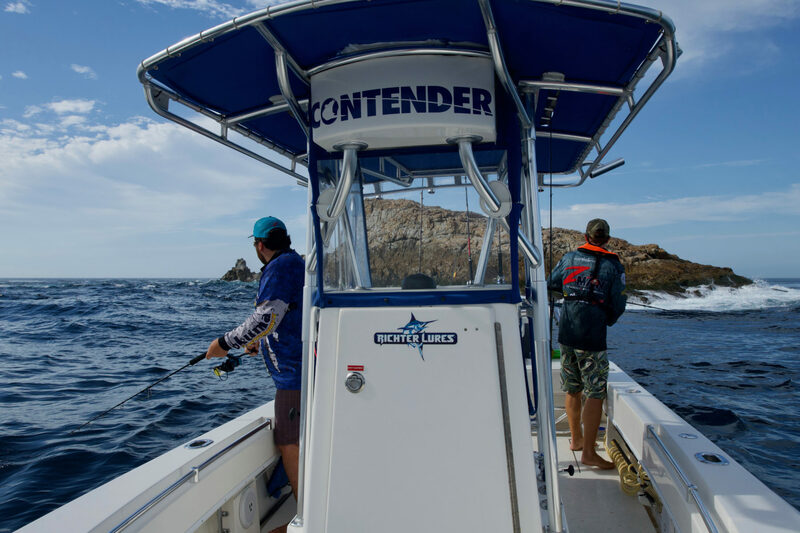 Chasing all manner of species, in every kind of habitat – from barra to billfish, brings to mind many highlights. Theres not to many people who can honestly say some of the best days in their lives have been at work! My little family and I lived in the Territory for over 10 years before moving to the most beautiful town in Australia – South West Rocks. A true fishing mecca. Situated roughly half way up the north coast of NSW between Brisbane and Sydney it enjoys a mixture of temperate and tropical fish species. The deep water close to shore allows ocean currents to push all the way into the rocks bringing massive shoals of baitfish and all manner of large predators. There’s always something exciting to chase and an adventure to be had!